Central venous access is a common procedure performed in many clinical settings for a variety of indications. Central lines are not without risk, and there are a multitude of complications that are associated with their placement. Complications can present in an immediate or delayed fashion and vary based on type of central venous access. Significant morbidity and mortality can result from complications related to central venous access. These complications can cause a significant healthcare burden in cost, hospital days, and patient quality of life. Advances in imaging, access technique, and medical devices have reduced and altered the types of complications encountered in clinical practice; but most complications still center around vascular injury, infection, and misplacement. Recognition and management of central line complications is important when caring for patients with vascular access, but prevention is the ultimate goal. This article discusses common and rare complications associated with central venous access, as well as techniques to recognize, manage, and prevent complications. Central venous access is commonly performed in the care of the critically-ill patient, for a number of indications. However, this routine procedure has complications that every provider must recognize, consider, and be able to manage-either directly or with prompt specialty assistance. These complications can be immediate or delayed in nature. Immediate complications occur at the time of catheter insertion and include vascular, cardiac, pulmonary, and placement complications. Delayed complications include device dysfunction and infection. Peripherally inserted central venous catheters have an altered complication profile that clinicians should consider when deciding on central venous access, but are still associated with the same spectrum of complications as centrally placed catheter. An extensive literature search was completed using both online and print resources. PubMed and Google Scholar were used to search for relevant articles with search phrases that included central line complications, central venous access complications, central venous catheter complications, subclavian line complications, internal jugular line complications, femoral line complications, and peripherally inserted central catheter (PICC) complications. Articles not published in English were excluded. Additional manual print literature search was conducted using various textbooks, manuals, and journals. Over 5 million central venous catheters are inserted every year in the United States alone, accounting for 15 million central venous catheter days. , However, this ubiquitous procedure has many associated complications that result in morbidity, mortality, and increased healthcare cost. Government organizations, such as Medicare, no longer reimburse for some preventable complications related to central line placement. Thus, it is imperative that both healthcare providers be aware of the prevention, incidence, and management of the immediate and delayed complications related to central venous access. While arterial injuries are more common, lacerations of the vena cava, mediastinal vessels, and right atrium have been reported. The proposed mechanism of these injuries is that the guide wire becomes trapped against a vessel wall, and subsequent insertion of dilator or catheter causes injury. The mechanism is such that as the catheter, or dilatator, is advanced; the wire starts to "bow" and push up against the vessel wall and potentially causing a linear laceration which can be much larger (and catastrophic) than a simple puncture. While catheter placement within the atria have higher flow rates and lower rates of thrombosis, the risk of atrial perforation has changed recommendations of catheter placement from within the atria to the atrial-caval junction. Catheter placement in the right atrium, or even, within the right ventricle can also cause local myocardial irritation that might result in supraventricular arrhythmias. Such arrhythmias, if left unrecognized, may result in significant hemodynamic compromise and be very difficult, if impossible, to control pharmacologically. The junction often lies 1.5-2 vertebrate below the carina. Careful attention to resistance during guide wire insertion and direct visualization under fluoroscopy may minimize risk of vessel or atria injury. If a central venous catheter rests against a vessel at an angle of greater than 40°, the risk of perforation increases. If major venous vessel injury occurs, emergent surgical intervention is often needed, and literature related to this topic is largely limited to case reports [Figure 2]. Surgery can range from direct suture repair of a perforation to complete vascular reconstruction with autologous tissue or bovine pericardium. Prosthetic material in the venous system is highly thrombogenic, even with aggressive anticoagulation, and unlikely to remain patent for prolonged periods of time and should not be used. For surgical interventions in which the patient is in extremis from hemorrhage, proximal and distal ligation of the bleeding vessel-even if a major vein such as innominate (brachiocephalic) is an appropriate approach and potentially lifesaving technique. Time-consuming and extensive vascular reconstructions in unstable circumstances, in this author's experience, are rarely successful and only delay critical attempts at obtaining both hemostasis and physiologic stability. Major intrathoracic injuries may even require the use of cardiopulmonary bypass to achieve hemodynamic stability and to help define and manage complex injuries and should be available, if possible. This author's experience with management of such injuries suggests that collateral venous return will develop and head and/or limb swelling in the interim is well-tolerated. Delayed reconstruction after damage-control procedures, while theoretically appealing, has not been apparently reported and most likely is not required. For such injuries, the primary goal is to save the life of the patient. Central venous catheter placement can also be complicated by existing central venous devices. Cases of line and wire entanglement with inferior vena cava (IVC) filters have been reported in the literature. Fluoroscopic visualization and interventional radiology are often needed to correct IVC filter entanglement. , Additionally, catheter entanglement can occur in patients with multiple catheters. Various techniques have been described to remove knotted catheters. Tightening the knot and removal through a dilated insertion site as well as manipulation under fluoroscopy has been described as minimally invasive techniques. However, surgical intervention may be required when multiple lines become entangled. ,, Additionally, lines can become entrapped by suture placement during cardiothoracic surgery. To avoid this complication that requires reoperation for suture removal, free mobility of all lines should be tested at the conclusion of cardiovascular cases. 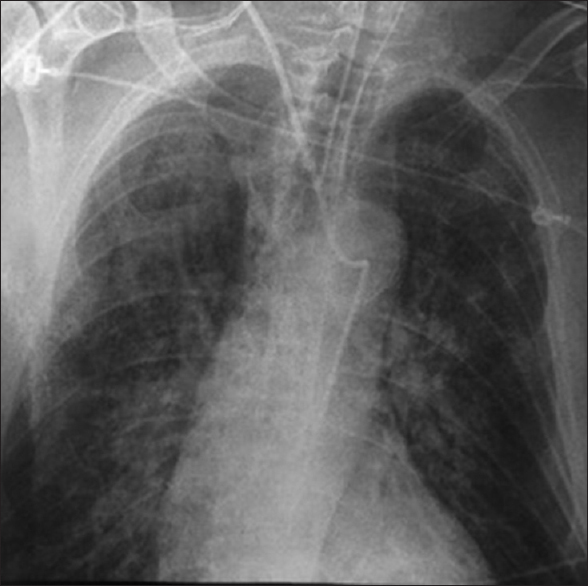 In general, surgical removal in stable patients is often preferred in any type of catheter entrapment prior to the development of complications, especially if complications are the direct result of attempts at removal (such as catheter fragmentation, further distal embolization to harder to reach areas, such as the right ventricle or pulmonary arteries, or access site injuries). Understandably, there is little literature on the management of these primarily iatrogenic misadventures. 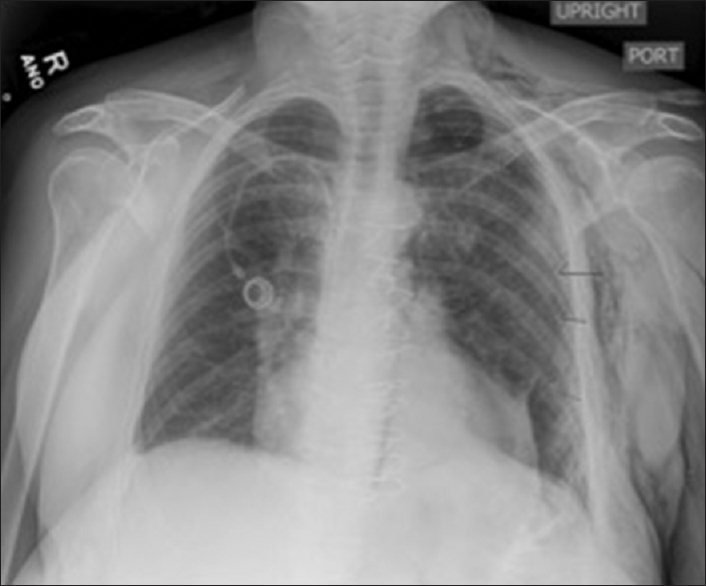 Chylothorax and chylopericardium may have also been reported during central venous catheter insertion. Venous congestion or injury to lymphatics can cause this rare complication. Left-sided internal jugular or subclavian access carries a higher risk of lymphatic injury due to the anatomic location of the thoracic duct, but lymphatic injury can still occur with right-sided access. Nitric oxide, thoracoscopic fibrin glue, and percutaneous coiling have all been used to treat lymphatic injury. However, while fortunately exceedingly rare, significant lymphatic injuries, as with other iatrogenic lymphatic or thoracic duct injuries, should have an attempted trial of medical management with total parental nutrition or low-fat enteral nutrition prior to invasive repair attempts. Cardiac complications during catheter placement include arrhythmia and cardiac arrest. Arrhythmia results from guide wire contact with the right atrium. Most frequently, this results in premature atrial and ventricular contractions. However, if the AV node is contacted for a significant amount of time, supraventricular tachycardia can result and lead to fatal arrhythmia and arrest. ,, Awareness of guide wire depth and telemetry monitoring help in early recognition of arrhythmia. If arrhythmia does occur, prompt initiation of advanced cardiac life support (ACLS) is necessary. Although rare, deaths from cardiac arrest related to central venous catheter placement have been reported. Probably underreported in the literature, direct valvular (particularly tricuspid) injuries would rarely require intervention as even severe tricuspid regurgitation can be managed medically. Likewise, right ventricular perforations with pulmonary artery catheters can occur and result in life-threatening tamponade. When suspected, emergent surface echocardiography may confirm the diagnosis and prompt immediate sternotomy for direct repair. Such injuries are rarely diagnosed preoperatively as immediate hemodynamic collapse from presumed hemorrhage may prompt emergent surgical exploration. Lifesaving cardiothoracic surgical intervention often requires a high index of suspicion as delaying surgery while awaiting diagnostic studies may be fatal. Delayed complications include device dysfunction and infection. These complications are more gradual in onset and can occur in the weeks to years after central venous catheter placement. Early recognition is important in reducing morbidity and mortality associated with these complications. As with any infection, appropriate culture-guided antibiotic therapy and prompt catheter removal, if possible, is indicated. Device dysfunction complications include fibrin sheath formation, fracture, thrombosis, central venous stenosis, and infection. Site of catheter placement, duration of catheterization, and underlying patient comorbidities all affect the rate of device dysfunction. Fibrin sheath formation can occur within 1 week of catheter placement and can occlude the distal openings resulting in inability to withdraw blood. Fibrinolytics such as alteplase can be employed in order to dissolve the fibrin sheath. Line stripping can be attempted in patients where fibrinolytics have failed. Fibrin sheath formation does not correlate with future catheter thrombosis. Unless there is a large thrombus associated with the sheath (>3 cm), simple line removal is appropriate. If there is a large thrombus at the end of the catheter, especially if there is concern that it is infected, direct surgical removal should be considered after attempted anticoagulation or thrombolytic therapy. In septic patients, intracardiac removal of infected lines may play an important role in infection source control and should be considered in appropriate patients. Catheter fracture occurs most commonly in subclavian lines after a catheter has been in place for an extended period of time [Figure 5] and [Figure 6]. Fracture can lead to serious complications related to catheter embolization including sepsis, endocarditis, cardiac perforation, or arrhythmia. Catheter fracture is preceded by pinch-off syndrome, which results in catheter malfunction from compression of the catheter by the subclavius-costoclavicular complex between the clavicle and first rib. Catheter fracture can also occur during removal secondary to catheter entrapment. Catheter entrapment can occur due to the ingrowth of endothelium around the catheter and results in fracture upon attempted removal. First described in 1975 by Hoshal, the PICC has become a popular method of central venous access. Increased use of PICCs is multifactorial with one of the factors being a perception of an improved side effect profile. Immediate risks of peripherally inserted catheters include injury to local structures, phlebitis at insertion site, air embolism, hematoma, arrhythmia, and catheter malposition. Late complications include infection, thrombosis, and catheter malposition. Early studies demonstrated that PICCs may have a decreased rate of bloodstream infection, but more recent studies have indicated that there may be no difference in the rate of bloodstream infection between traditional central venous catheters and PICCs. ,,, Thrombosis of PICCs has been reported in the literature to be up to 5%. Additional studies have suggested that the risk of thrombophlebitis is greater in PICCs. However, there is lack of large randomized control trials comparing PICCs to central venous catheters. As with centrally placed catheters, rare complications with PICCs have also been reported. Catheter fracture and embolization can occur and necessitate surgical intervention. , Life-threatening cardiovascular complications including cardiac perforation and tamponade, atrial arrhythmia, catheter-related right atrial thrombi, and pulmonary embolism have also been described. ,, PICC insertion can also lead to vascular complications such as AV fistula and venous injury. Cases of neurologic complications such as Horner's syndrome and injury to the interosseus nerve have been reported as well. 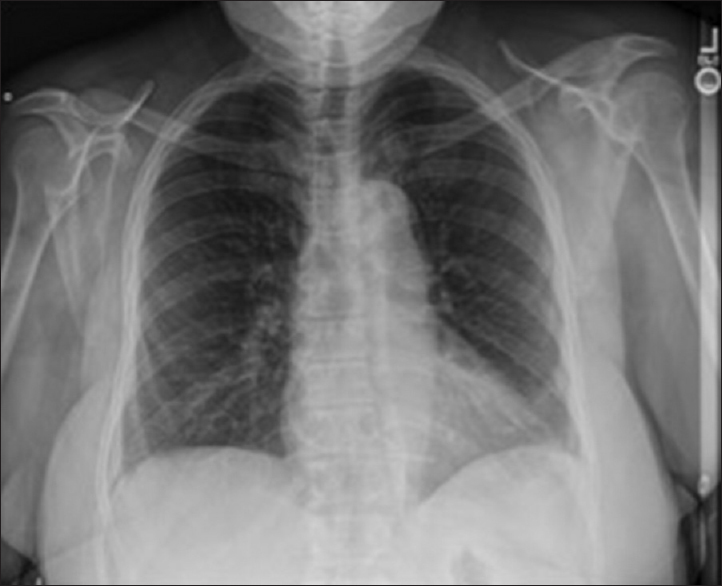 , Pulmonary complications that have been described include hydromediastinum and pneumothorax. These case reports demonstrate that PICCs can cause many of the same serious and life-threatening complications associated with traditional central venous catheters and should be considered when considering catheter type. While perception remains that peripherally inserted catheters are less morbid than traditional catheters, recent data suggests that the complication profile may not be that altered. Physicians should be cautious and be aware of the risks that PICCs carry when deciding upon central venous access. The widely held perception that such catheters, because of peripheral placement, are associated with minimal risks is probably inappropriate. Without a doubt as patients present with more comorbidities, as therapies become more aggressive and invasive, and the consequences of complications-both to the patient and potentially to the hospital and healthcare systems-become more significant (and potentially costly). As such, the means in which therapies are delivered will come under greater scrutiny in terms of safety, efficacy, and costs. As mentioned, procedural related complications, more and more, are being considered as "never events" (implying they should never occur) with not only potential clinical and medical-legal implications, but reimbursement as well. Payers, such as Medicare and Medicaid, are establishing reporting requirements and protocols that will no longer reimburse for costs incurred as a result of procedural-related complications. As such, greater emphasis is being placed on the development and adherence to protocols that emphasize proper technique, checklists to minimize complications, and technologies that improve patient safety. Previously routinely placed procedures performed by Junior residents; such as beside temporary dialysis catheters (which might not be billed nor charged for) are now routine procedures in Interventional Radiology suites, hybrid operating rooms, and/or specially designed and designated "procedure rooms". The implications, in terms of costs and safety, not to mention patient convenience are poorly understood. Nevertheless, as complications such as catheter line-associated blood stream infections (CLABSI), are now publically reported in the Institutional Quality Data, much emphasis will be placed improving this metric of safety. Clearly, tremendous resources and opportunities exist for the development of technologies and guidelines that minimize such risks. Without a doubt, central venous access is one of the more commonly performed invasive vascular procedures in hospitalized patients. With increasing comorbidities and complexity of illness in hospitalized patients, the need for central IV access for medication administration, multiple lab testing, and central hemodynamic monitoring the risks of placement and spectrum of complications will only increase as well. While most of the complications outlined above are well-described, potentially preventable, and within the spectrum of acceptable procedural related risks, clearly unusual complications have been reported in isolated reports; all illustrating that the clinician must be aware that anything that can happen, will happen, and that awareness and a management plan are critical to the use of such lines. Complications from localized hematomas can cause vocal cord paralysis,  airway obstruction,  and phrenic nerve injuries. Other rare, but reported complications, such as intracranial hypertension from AV malformation from inadvertent arterial puncture  and brain stem strokes from vertebral artery thrombosis  (again, from inadvertent arterial puncture); all illustrate that when unusual and rare problems develop shortly after central line placement, a procedural-related complication must be considered and a multidisciplinary team may be required for appropriate management. While central venous access is routine in the critically-ill patient, it is not without risk. Physicians should be aware of the immediate and delayed complications related to central venous catheter placement. Recognizing and subsequent management of complications reduces morbidity and mortality and improves patient outcomes. Each type of access carries an altered likelihood of complication that physicians should consider. While the chance of complications can never be completely eliminated, their prevention should be a provider's ultimate goal. McGee DC, Gould MK. Preventing complications of central venous catheterization. N Engl J Med 2003;348:1123-33. O′Grady NP, Alexander M, Burns LA, Dellinger EP, Garland J, Heard SO, et al., Healthcare Infection Control Practices Advisory Committee (HICPAC) (Appendix 1). Summary of recommendations: Guidelines for the prevention of intravascular catheter-related infections. Clin Infect Dis 2011;52:1087-99. Kusminsky RE. Complications of central venous catheterization. J Am Coll Surg 2007;204:681-96. Sznajder JI, Zveibil FR, Bitterman H, Weiner P, Bursztein S. Central vein catheterization. Failure and complication rates by three percutaneous approaches. Arch Intern Med 1986;146:259-61. Bhutta ST, Culp WC. Evaluation and management of central venous access complications. Tech Vasc Interv Radiol 2011;14:217-24. Powell JT, Mink JT, Nomura JT, Levine BJ, Jasani N, Nichols WL, et al. Ultrasound-guidance can reduce adverse events during femoral central venous cannulation. J Emerg Med 2014;46:519-24. Leung J, Duffy M, Finckh A. Real-time ultrasonographically-guided internal jugular vein catheterization in the emergency department increases success rates and reduces complications: A randomized, prospective study. Ann Emerg Med 2006;48:540-7. Fragou M, Gravvanis A, Dimitriou V, Papalois A, Kouraklis G, Karabinis A, et al. Real-time ultrasound-guided subclavian vein cannulation versus the landmark method in critical care patients: A prospective randomized study. Crit Care Med 2011;39:1607-12. Bowdle A. Vascular complications of central venous catheter placement: Evidence-based methods for prevention and treatment. J Cardiothorac Vasc Anesth 2014;28:358-68. Vats HS. Complications of catheters: Tunneled and nontunneled. Adv Chronic Kidney Dis 2012;19:188-94. Troianos CA, Jobes DR, Ellison N. Ultrasound-guided cannulation of the internal jugular vein. A prospective, randomized study. Anesth Analg 1991;72:823-6. Randolph AG, Cook DJ, Gonzales CA, Pribble CG. Ultrasound guidance for placement of central venous catheters: A meta-analysis of the literature. Crit Care Med 1996;24:2053-8. Hind D, Calvert N, McWilliams R, Davidson A, Paisley S, Beverley C, et al. Ultrasonic locating devices for central venous cannulation: Meta analysis. BMJ 2003;327:361. Pillai L, Zimmerman P, d′Audiffret A. Inadvertent great vessel arterial catheterization during ultrasound-guided central venous line placement: A potentially fatal event. J Vasc Surg 2009;53:74. Parsons AJ, Alfa J. Carotid dissection: A complication of internal jugular vein cannulation with the use of ultrasound. Anesth Analg 2009;109:135-6. Thompson C, Barrows T. Carotid arterial cannulation: Removing the risk with ultrasound? Can J Anaesth 2009;56:471-2. Guilbert MC, Elkouri S, Bracco D, Corriveau MM, Beaudoin N, Dubois MJ, et al. Arterial trauma during central venous catheter insertion: Case series, review and proposed algorithm. J Vasc Surg 2008;48:918-25. Shah PM, Babu SC, Goyal A, Mateo RB, Madden RE. Arterial misplacement of large-caliber cannulas during jugular vein catheterization: Case for surgical management. J Am Coll Surg 2004;198:939-44. Khouzam RN, Soufi MK, Weatherly M. Heparin Infusion through through a central line misplaced in the carotid artery leading to hemorrhagic stroke. J Emerg Med 2013;45:e87-9. Wang RC, Katz SE, Lubow M. Visual loss and central venous catheterization: Cortical blindness and hemianopsia after inadvertent subclavian artery entry. J Neuroophthalmol 2000;20:32-4. Shah PM, Leong B, Babu SC, Goyal AM, Mateo RB. Cerebrovascular events associated with infusion through arterially malpositioned triple-lumen catheter: Report of three cases and review of literature. Cardiol Rev 2005;13:304-8. Nayeemuddin M, Pherwani AD, Asquith JR. Imaging and management of complications of central venous catheters. Clin Radiol 2013;68:529-44. Ratliff HL, Yousufuddin M, Lieving WR, Watson BE, Malas A, Rosencrance G, et al. Persistent left superior vena cava: Case reports and clinical implications. Int J Cardiol 2006;113:242-6. Higgs AG, Paris S, Potter F. Discovery of left-sided superior vena cava during central venous catheterization. Br J Anaesth 1998;81:260-1. Leibowitz AB, Halpern NA, Lee MH, Iberti TJ. Left-sided superior vena cava: A not-so-unusual vascular anomaly discovered during central venous and pulmonary artery catheterization. Crit Care Med 1992;20:1119-22. Sweitzer BJ, Hoffman WJ, Allyn JW, Daggett WJ Jr. Diagnosis of a left-sided superior vena cava during placement of a pulmonary artery catheter. J Clin Anesth 1993;5:500-4. Schelling G, Briegel J, Eichinger K, Raum W, Forst H. Pulmonary artery catheter placement and temporary cardiac pacing in a patient with a persistent left superior vena cava. Intensive Care Med 1991;17:507-8. Duong MH, Jensen WA, Kirsch CM, Wehner JH, Kagawa FT. An unusual complication during central venous catheter placement. J Clin Anesth 2001;13:131-2. Andrews RT, Geschwind JF, Savader SJ, Venbrux AC. Entrapment of J-tip guidewires by Venatech and stainless-steel Greenfield vena cava filters during central venous catheter placement: Percutaneous management in four patients. Cardiovasc Intervent Radiol 1998;21:424-8. Graff J, Gong R, Byron R, Hassett JM. Knotting and entanglement of multiple central venous catheters. JPEN J Parenter Enteral Nutr 1986;10:319-21. Bossert T, Gummert JF, Bittner HB, Barten M, Walther T, Falk V, et al. 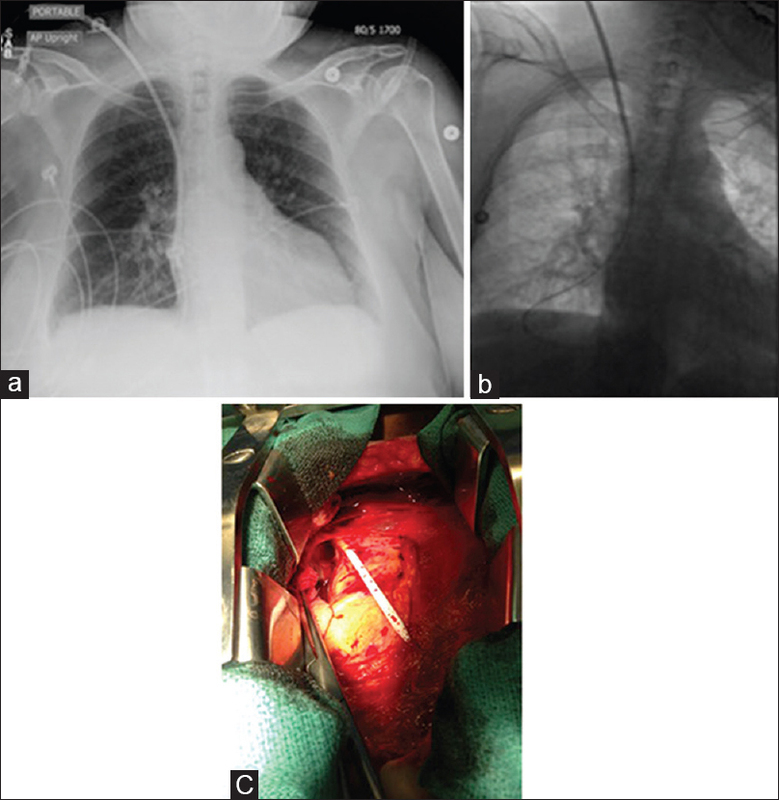 Swan-Ganz catheter-induced severe complications in cardiac surgery: Right ventricular perforation, knotting, and rupture of a pulmonary artery. J Card Surg 2006;21:292-5. Hida S, Ohashi S, Kinoshita H, Honda T, Yamamoto S, Kazama J, et al. Knotting of two central venous catheters: A rare complication of pulmonary artery catheterization. J Anesth 2010;24:486-7. Yoho DJ, Firstenberg MS. The sequelae of silence: Catheter entrapment as a preventable morbidity resulting from communication failure. Heart Res Open J 2015;2:82-4. Wang HE, Sweeney TA. Subclavian central venous catheterization complicated by guidewire looping and entrapment. J Emerg Med 1999;17:721-4. Song Y, Messerlian AK, Matevosian R. A potentially hazardous complication during central venous catheterization: Lost guidewire retained in the patient. J Clin Anesth 2012;24:221-6. Jalwal GK, Rajagopalan V, Bindra A, Goyal K, Rath GP, Kumar A, et al. Percutaneous retrieval of malpositioned, kinked and unraveled guide wire under fluoroscopic guidance during central venous cannulation. J Anaesthesiol Clin Pharmacol 2014;30:582. Vannucci A, Jeffcoat A, Ifune C, Salinas C, Duncan JR, Wall M. Special article: Retained guidewires after intraoperative placement of central venous catheters. Anesth Analg 2013;117:102-8. Teichgraber UK, Nibbe L, Gebauer B, Wagner HJ. 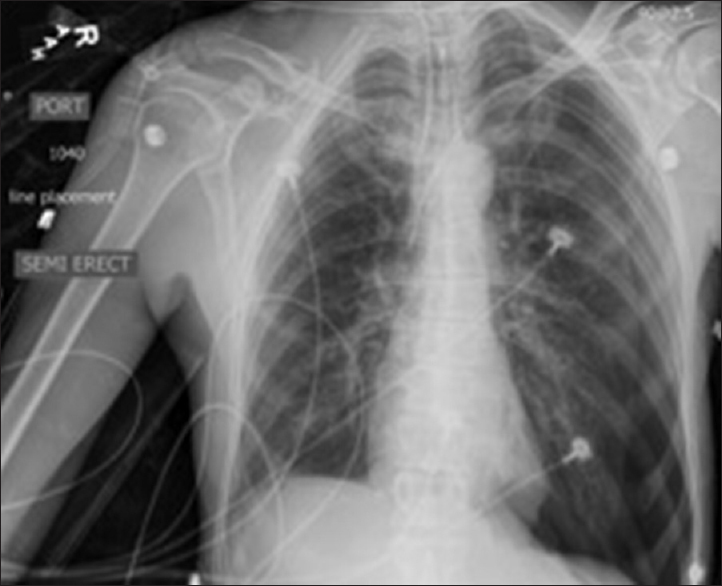 Inadvertent puncture of the thoracic duct during attempted central venous catheter placement. Cardiovasc Intervent Radiol 2003;26:569-71. Konichezky S, Saguib S, Soroker D. Tracheal puncture. A complication of percutaneous internal jugular vein cannulation. Anaesthesia 1983;38:572-4. Malik IA, Adams RG. Tracheal cuff puncture: A complication of percutaneous internal jugular vein cannulation. Am J Med 2003;115:590-1. Lampl L. Tracheobronchial injuries. Conservative treatment. Interact Cardiovasc Thorac Surg 2004;3:401-5. Hsu M, Trerotola SO. Air embolism during insertion and replacement of tunneled dialysis catheters: A retrospective investigation of the effect of aerostatic sheaths and over-the-wire exchange. J Vasc Interv Radiol 2015;26:366-71. Huang YC, Huang JC, Chen SC, Chang JM, Chen HC. Lethal cardiac arrhythmia during central venous catheterization in a uremic patient: A case report and review of the literature. Hemodial Int 2013;17:644-8. Centers for Disease Control and Prevention (CDC). Vital signs: Central line-associated blood stream infections--United States, 2001, 2008, and 2009. MMWR Morb Mortal Wkly Rep 2011;60:243-8. To KB, Napolitano LM. Common complications in the critically ill patient. Surg Clin North Am 2012;92:1519-57. Early TF, Gregory RT, Wheeler JR, Snyder SO Jr, Gayle RG. Increased infection rate in double-lumen versus single-lumen Hickman catheters in cancer patients. South Med J 1990;83:34-6. Hilton E, Haslett TM, Borenstein MT, Tucci V, Isenberg HD, Singer C. Central catheter infections: Single- versus triple-lumen catheters. Influence of guide wires on infection rates when used for replacement of catheters. Am J Med 1988;84:667-72. Yeung C, May J, Hughes R. Infection rate for single lumen v triple lumen subclavian catheters. Infect Control Hosp Epidemiol 1988;9:154-8. Watson CM, Al-Hasan MN. Bloodstream infections and central line-associated bloodstream infections. Surg Clin North Am 2014;94:1233-44. Pronovost P, Needham D, Berenholtz S, Sinopoli D, Chu H, Cosgrove S, et al. An intervention to decrease catheter-related bloodstream infections in the ICU. N Engl J Med 2006;355:2725-32. Marsteller JA, Sexton JB, Hsu YJ, Hsiao CJ, Holzmueller CG, Pronovost PJ, et al. A multicenter, phased, cluster-randomized controlled trial to reduce central line-associated bloodstream infections in intensive care unitsFNx01. Crit Care Med 2012;40:2933-9. Hoshal VL Jr. Total intravenous nutrition with peripherally inserted silicone elastomer central venous catheters. Arch Surg 1975;110:644-6. Safdar N, Maki DG. Risk of catheter-related bloodstream infection with peripherally inserted central venous catheters used in hospitalized patients. Chest 2005;128:489-95. Shuman EK, Washer LL, Arndt JL, Zalewski CA, Hyzy RC, Napolitano LM, et al. Analysis of central line-associated bloodstream infections in the intensive care unit after implementation of central line bundles. Infect Control Hosp Epidemiol 2010;31:551-3. Al Raiy B, Fakih MG, Bryan-Nomides N, Hopfner D, Riegel E, Nenninger T, et al. Peripherally inserted central venous catheters in the acute care setting: A safe alternative to high-risk short-term central venous catheters. Am J Infect Control 2010;38:149-53. Pikwer A, Akeson J, Lindgren S. Complications associated with peripheral or central routes for central venous cannulation. Anaesthesia 2012;67:65-71. Chopra V, Anand S, Krein SL, Chenoweth C, Saint S. Bloodstream infection, venous thrombosis, and peripherally inserted central catheters: Reappraising the evidence. Am J Med 2012;125:733-41. Chow LM, Friedman JN, MacArthur C, Restrepo R, Temple M, Chait PG, et al. Peripherally inserted central catheter (PICC) fracture and embolozation in the pediatric population. J Pediatr 2003;142:141-4. Ioachimescu OC, Stoller JK. An ectopic peripherally inserted central catheter (′ectoPICC′). Cleve Clin J Med 2006;73:617-8. Orme RM, McSwiney MM, Chamberlain-Webber RF. Fatal cardiac tamponade as a result of a peripherally inserted central venous catheter: A case report and review of the literature. Br J Anaesth 2007;99:384-8. Burns KE, McLaren A. Catheter-related right atrial thrombus and pulmonary embolism: A case report and systematic review of the literature. Can Respir J 2009;16:163-5. Elsharkawy H, Lewis BS, Steiger E, Farag E. Post placement positional atrial fibrillation and peripherally inserted central catheters. Minerva Anestesiol 2009;75:471-4. Links DJ, Crowe PJ. Horner′s syndrome after placement of a peripherally inserted central catheter. JPEN Parenter Enteral Nutr 2006;30:451-2. Puhaindran ME, Wong HP. A case of anterior interosseous nerve syndrome after peripherally inserted central catheter (PICC) line insertion. Singapore Med J 2003;44:653-5. Maruyama K, Koizumi T. Hydromediastinum associated with a peripherally inserted central venous catheter in a newborn infant. J Clin Ultrasound 2006;34:195-8. David G, Gunnarsson CL, Waters HC, Horblyuk R, Kaplan HS. Economic measurement of medical errors using a hospital claims database. Value Health 2013;16:305-10. Rosenthal MB. Nonpayment for performance? Medicare′s new reimbursement rule. N Engl J Med 2007;357:1573-5. Waters TM, Daniels MJ, Bazzoli GJ, Perencevich E, Dunton N, Staggs VS, et al. Effect of Medicare′s nonpayment for Hospital-Acquired Conditions: Lessons for future policy. JAMA Intern Med 2015;175:347-54. Martin-Hirsch DP, Newbegin CJ. Right vocal fold paralysis as a result of central venous catheterization. J Laryngol Otol 1995;109:1107-8. Silva FS. Neck haematoma and airway obstruction in a patient with goitre: Complication of internal jugular vein cannulation. Acta Anaesthesiol Scand 2003;47:626-9. Drachler DH, Koepke GH, Weg JG. Phrenic nerve injury from subclavian vein catheterization. Diagnosis by electromyography. JAMA 1976;236:2880-1. Lal SM, Twardowski ZJ, Van Stone J, Keniston D, Scott WJ, Berg GG, et al. Benign intracranial hypertension: A complication of subclavian vein catheterization and arteriovenous fistula. Am J Kidney Dis 1986;8:262-4. Sloan MA, Mueller JD, Adelman LS, Caplan LR. Fatal brainstem stroke following internal jugular vein catheterization. Neurology 1991;41:1092-2. Tek le WG, Adkinson CD, Chaudhry SA, Jadhav V, Hassan AE, Rodriguez GJ, et al. Factors associated with favorable response to hyperbaric oxygen therapy among patients presenting with iatrogenic cerebral arterial gas embolism. Neurocrit Care 2013;18:228-33.